Sunshine skin! Yes, Chanel got the sun bathing party started. Interesting post! 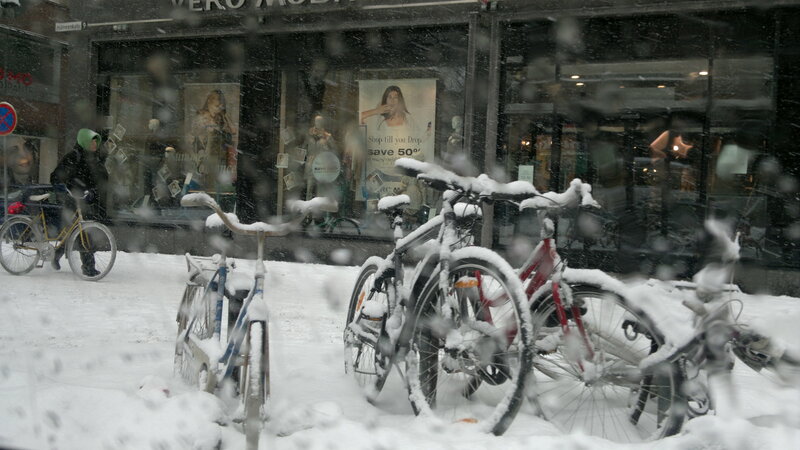 I’m also smitten with your shot of the bikes in the snow. Dreamy! T.
The late 1940’s were an interesting time of transition. Only farmers had burned skin until then. In many cultures sun darkened skin is still a sign of class distinction. The photo was taken from the back of cab riding through wintery Tempere. Finland. I have many Finnish friends who have relocated to Thailand and Spain to escape the weather. Whats really funny is how the rates of alcoholism drop precipitously when Finns bath in sunshine rather than trudge through the bleak months of winter.